The Hanoi People’s Committee has recently issued Plan No. 53/KH-UBND on developing the private sector and making it one of important driving forces of the socialist-oriented market economy, completing the socialist-oriented market economy. 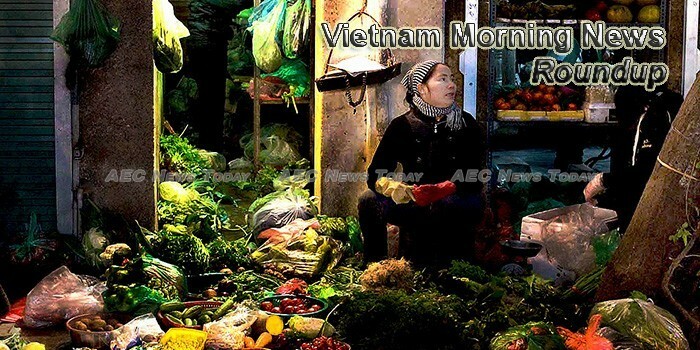 Eight Vietnamese exports saw their revenues surpass US$1 billion in the first two months of 2018, three more than January 2018, according to the Ministry of Industry and Trade. Amazon, the world’s largest Internet retailer by revenue and market capitalization, is set to officially open up its platform to exports from Vietnamese businesses this month, an insider told Tuoi Tre (Youth) newspaper. Huge investments have been flowing into the agriculture sector in recent years, making it increasingly competitive. Over a thousand tax-free automobiles from Japanese carmaker Honda have been imported from Thailand into Vietnam, and their prices are expected to fall by nearly VND200 million ($8,784) apiece. Experts are concerned about the trend of Vietnamese businesspeople seeking second citizenship in other countries. More than 60 U.S. companies that gathered in Danang, a booming coastal city in Vietnam, have expressed interest in investing in the country’s central economic region as the business climate warms between the former Vietnam War foes. The Ministry of Finance (MoF) is working on a draft resolution on handling tax arrears and irrecoverable fines to submit to the National Assembly. Vietnamese electricity company Gia Lai Electricity JSC has signed a 5 billion yen ($47.4 million) deal with Japanese engineering company JGC to design and build a mega-solar power generation. 2017 emerged as one of the strongest years for Vietnam. With the GDP growing at 6.81 percent and a record high FDI, Vietnam will continue to be a priority for investors in 2018. Micro, small and medium-sized enterprises (SMEs) account for nearly 97 per cent of the total number of businesses in HCM City, with more than 90 per cent of newly-established ones every year belonging to this category. VinaCapital’s flagship fund, Vietnam Opportunity Fund (VOF) has been included as a constituent in the FTSE 250 Index while Dragon Capital has offloaded 500,000 shares of Vietnamese jeweler Phu Nhuan Jewelry (PNJ). A new deal has been inked between Southern Institute of Science and Technology and MorFund Financial Group (Canada) on the C$6.3 billion (US$5 billion) investment for the express railway between Ho Chi Minh City and Can Tho city. A Vietnamese court on Wednesday suspended the case proceedings in a dispute between local taxi firm Vinasun and ride-hailing major Grab pending completion of information gathering from the Ministry of Transport and other competent authorities of Ho Chi Minh City.